This alpine will grow fairly low down at 1,000 feet or so. 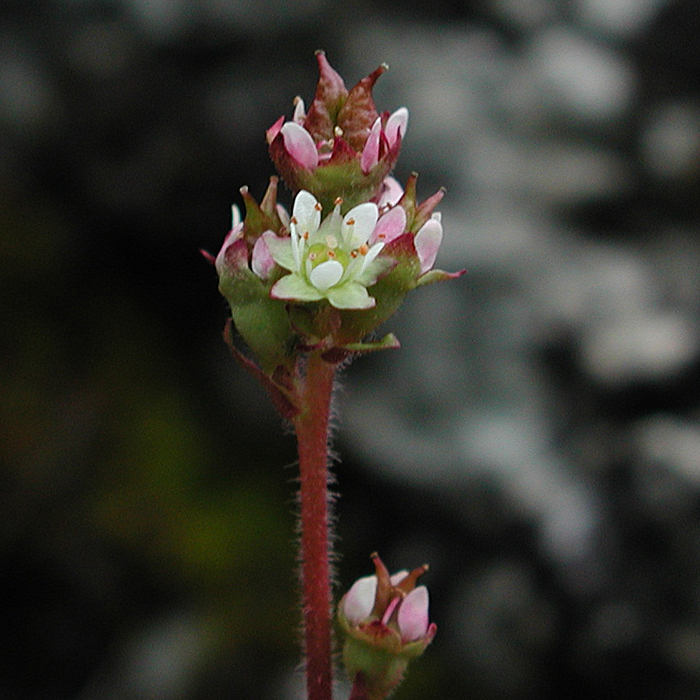 In Cwm Idwal, North Wales which is my nearest site, I counted six rosettes with one even in flower in May 2004 in a healthy condition and two which were shrivelling up in the drought. 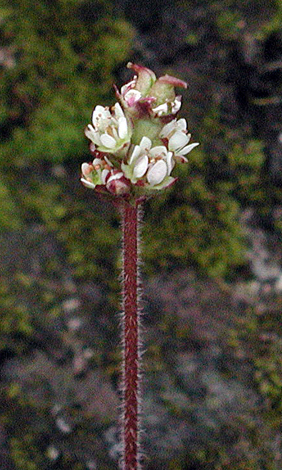 It usually flowers in late summer. 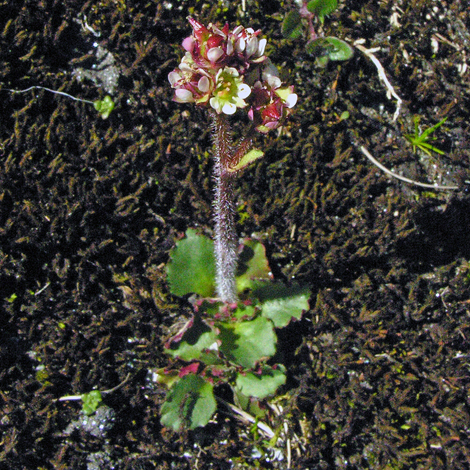 The LHS one above was at the rear of the Ben Lawers Corrie where we found at least twelve flowering plants and an equal number of non flowering rosettes. 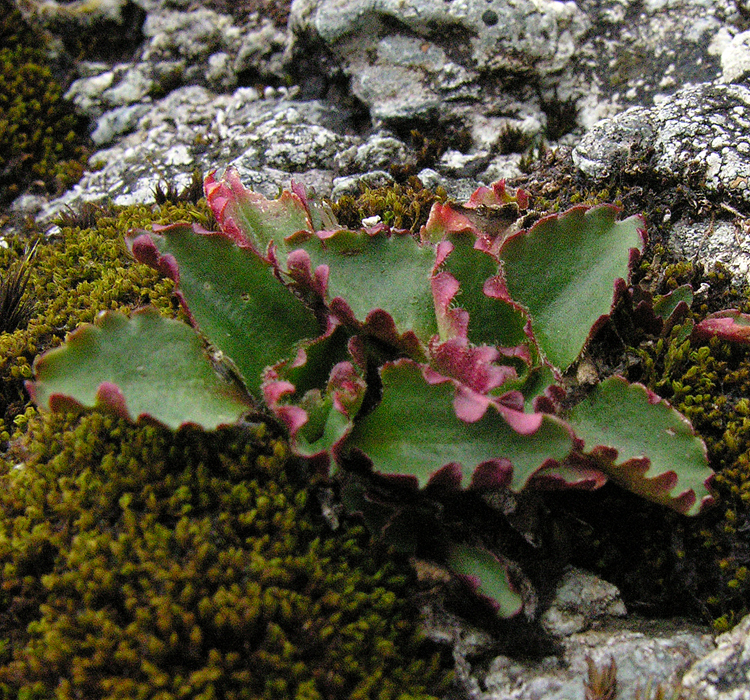 The rosette of this plant is quite distinct and excellent for identification. It has mid green leaves with curled edges but a deep purple underside.